Gift Cards are being recognized everywhere as a very powerful marketing tool. Gift card based promotion campaigns are the rage today, and also popular from the consumer point of view as well. Yet gift cards can be tricky to handle in a promotion program especially when not integrated in the promotion’s framework. What if there is a single product suite designed to utilize gift cards for running promotions? 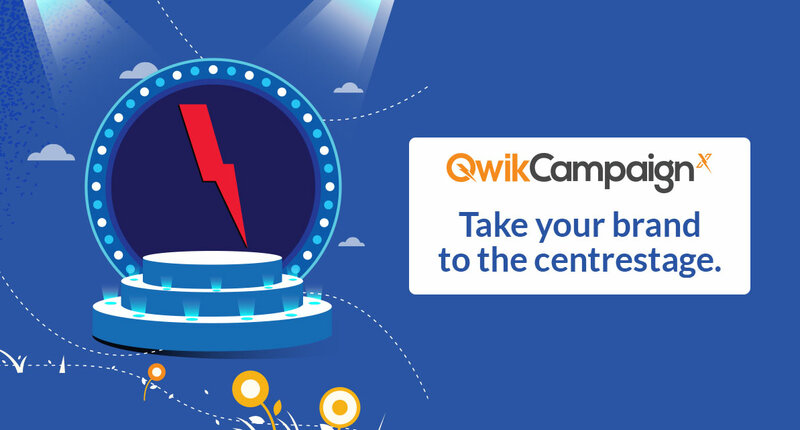 Presenting QwikCampaignx, the all you need solution for powerful trade promotions and consumer campaigns. Start designing your promotion programs customized to your brand guidelines, featuring multiple channels and program communication. Back up your program with effective rewards management that includes a choice of 100+, real time user validation, immense flexibility in denominations and validity and support for conditional gratification. Post your successful promotion you can analyze your campaign effectiveness with the powerful built in MIS and reporting suite. So, are you raring to unleash those consumer promotion campaigns? Talk to the experts today!